We promise: This is no fluff piece. 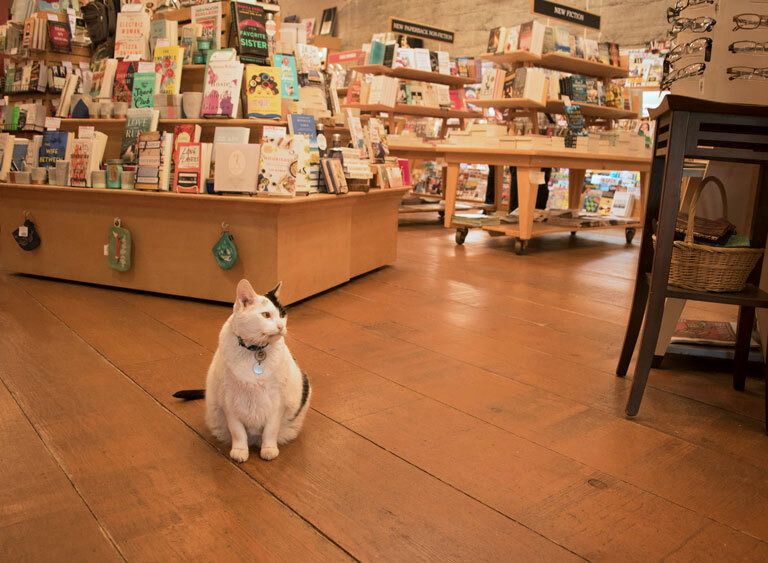 Cats are a staple of many independent bookstores, and as any bookstore owner will tell you, they're often the ones that truly run the place. 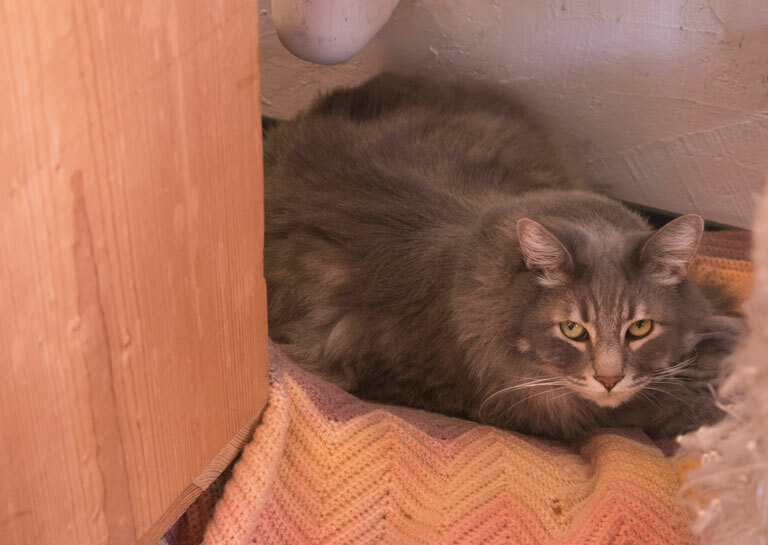 To celebrate PBS' series The Great American Read, which invites viewers like you to vote for America’s most beloved novel from a list of 100, we traveled around the Bay Area to meet some of these book-loving felines. 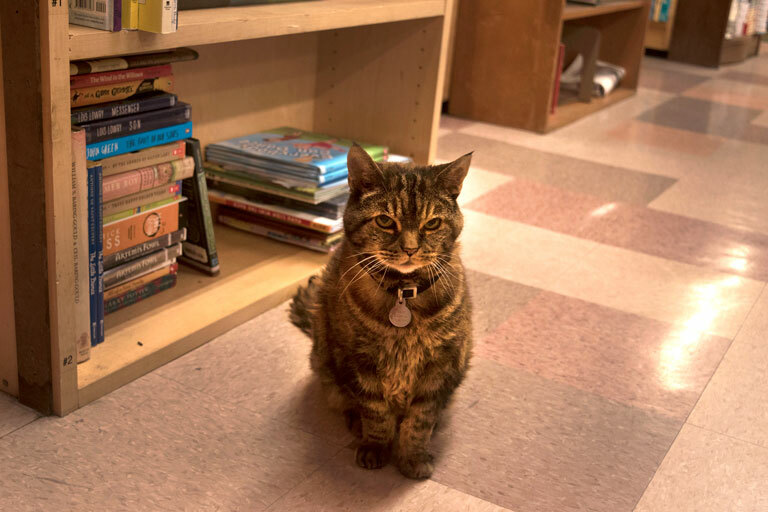 Borderlands, a specialty bookshop located in the heart of San Francisco’s Mission district, boasts new and used imports, fan fiction, rare editions, and a cat as unconventional as the bookstore. Meet Hudson. 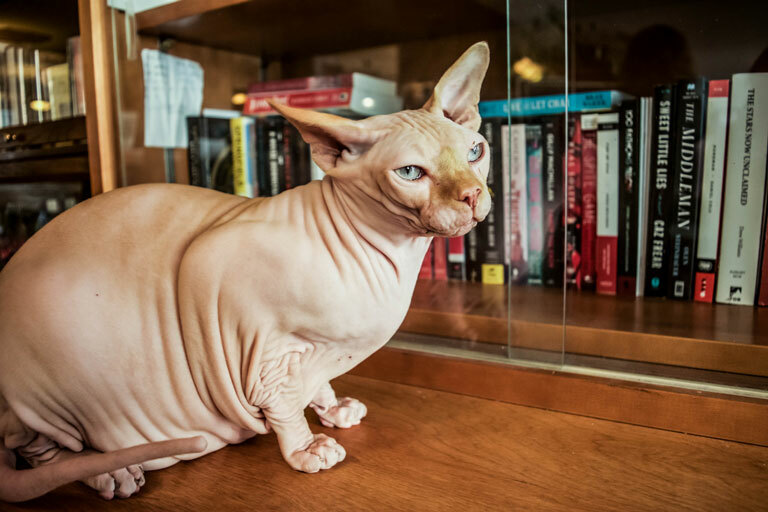 He's a Sphinx breed, which means he's hairless. Despite his expression, he's surprisingly friendly. Manager Jude Feldman says Hudson is a crowd-pleaser and a draw for Borderlands. "People stop and stare [at Hudson perching in the window] while passing by on the street. It’s a great way to lure them in." If Hudson were an author, who would he be? "Oscar Wilde," says Jude. "Because he’s a sassy freethinker, yet very lovable." Want to see Hudson at Borderlands? Catch him on Valencia while you can; he'll be moving to the Haight when the store relocates sometime later this year. Aardvark Books is a spacious emporium selling new and secondhand books, cards, and newspapers in San Francisco’s Castro District. 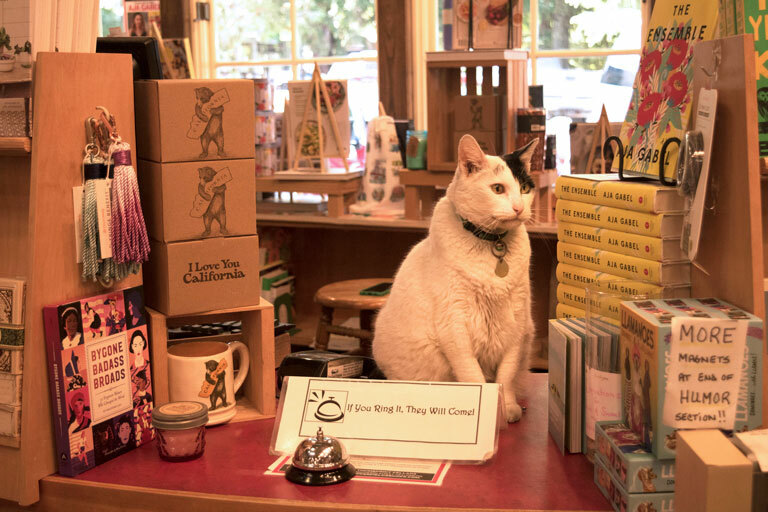 The store's mascot Owen has been a fixture there for 12 years. "Owen’s the real boss around here," says Aardvark employee David. You can usually find him on his favorite chair in the Myth & Folklore section. 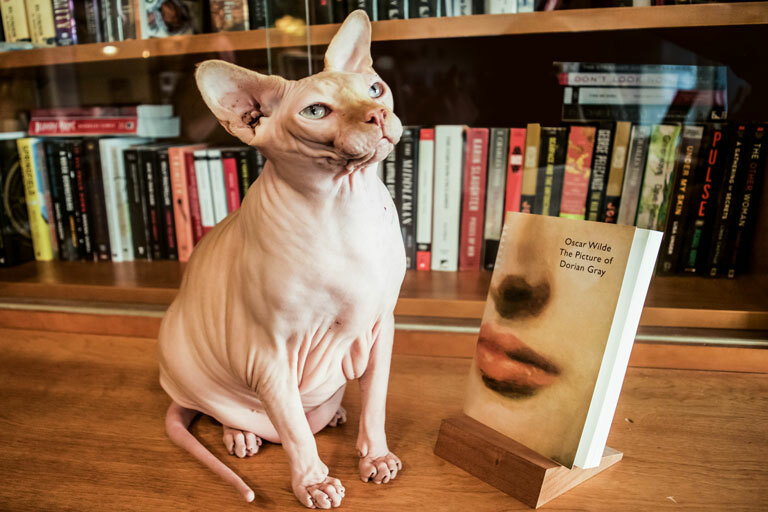 If Owen was an author, he'd be Christopher Isherwood, says Aardvark employee Frieda, because he's "loving, kind, pragmatic and takes life as it comes. Nothing really seems to upset him." 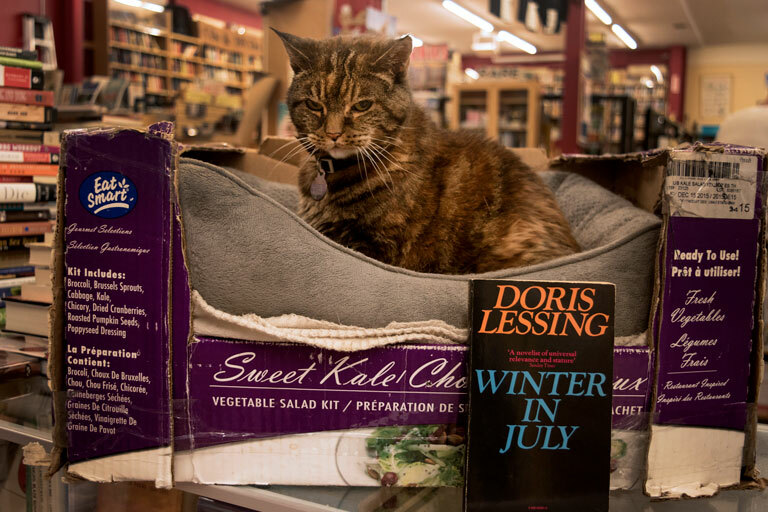 Parrot, the senior cat-in-residence at Downtown Berkeley's Pegasus Books may be on the grumpier end of the Bookstore Cat spectrum, but the place just didn't feel complete until she arrived, says employee Sean. If she were an author, Sean says, "She would be Doris Lessing: grouchy and strong-willed. Just like Lessing, Parrot gives off the vibe that she too would be nonchalant about winning a Nobel Prize." Although Parrot can be crabby, she has a major fan club among Pegasus' customers; some pay the store a visit just to see her, and Parrot has even received fan mail. 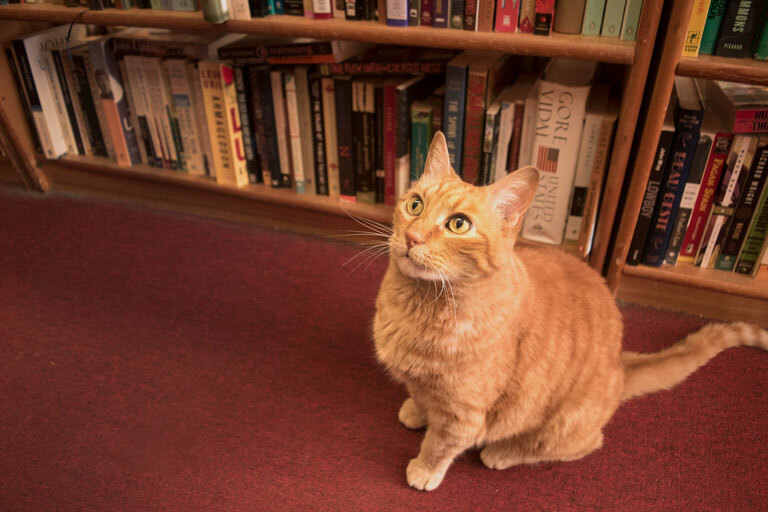 What's better than a bookstore with a cat? One with two cats, obviously! Enter Sweetpea and Jack of Copperfield's in Sonoma County. Both cats were adopted from local shelters at around 9 years old, and are now beloved by customers. 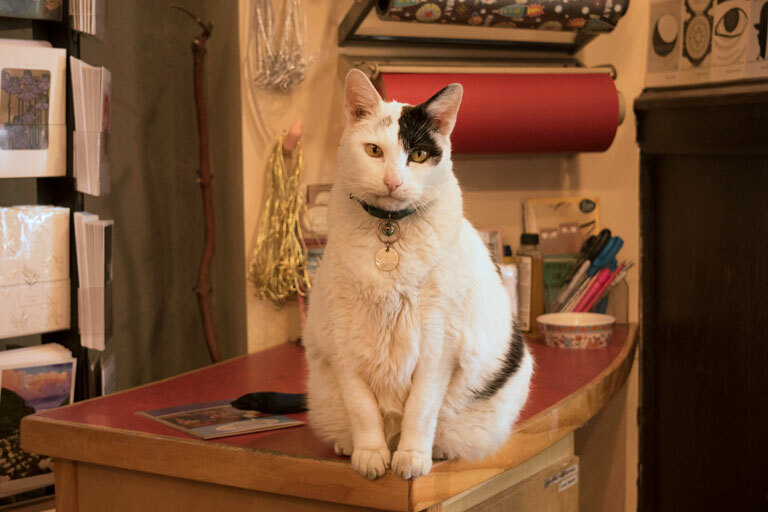 You'll find Sweetpea, who certainly lives up to her name, front and center, greeting customers at the door. Although she acts young, pawing at your feet as you browse, don’t be fooled: she’s the ripe age of 14 (about 72 in cat years). "If she were personified as an author," employee Cathy says, "she would be Margaret Mitchell. She thinks she’s tough, but she’s actually sweet." Her sociable store mate Jack is also a senior citizen at 14, with hobbies that include celebrating customers' birthdays and bullying dogs. This South Bay spot is a used bookstore with an eclectic selection of titles and a labyrinthine layout. It’s easy to miss the two kitties, as they blend in with the books, from witchcraft to folklore. 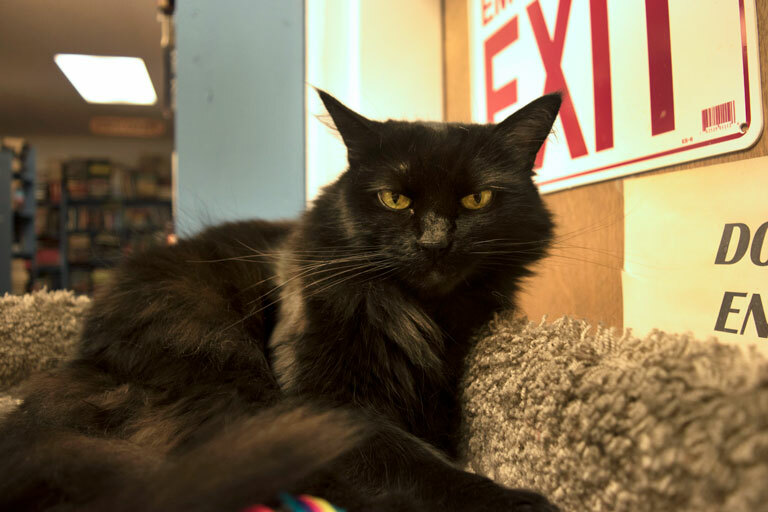 Emma, a black cat who's the more gregarious of the two, likes to stalk customers in the stacks. If you sit down to skim the first few pages of a book, she might even jump right into your lap. 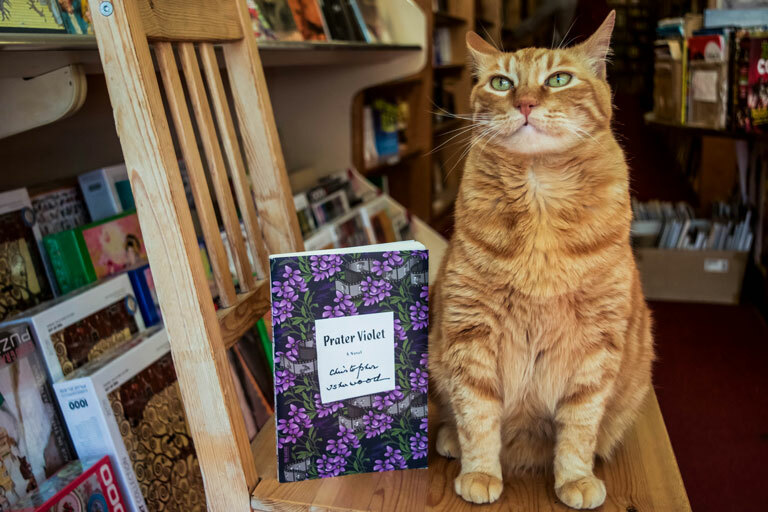 If she were an author, employee Eric says, "she would be Edith Wharton: prim and proper." Her store mate Ender was named after the title character of the science fiction novel Ender’s Game for his youthful attitude and energy when he was first adopted. He’s mellowed out since then and is the timider of the two. 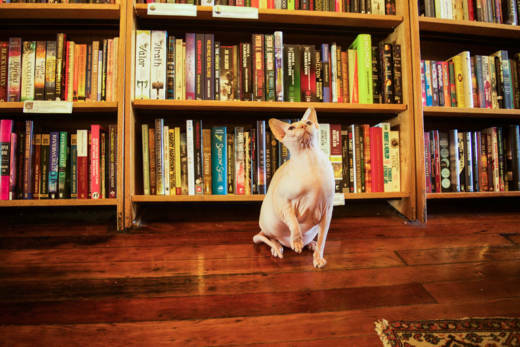 Why do bookstores often have cats? 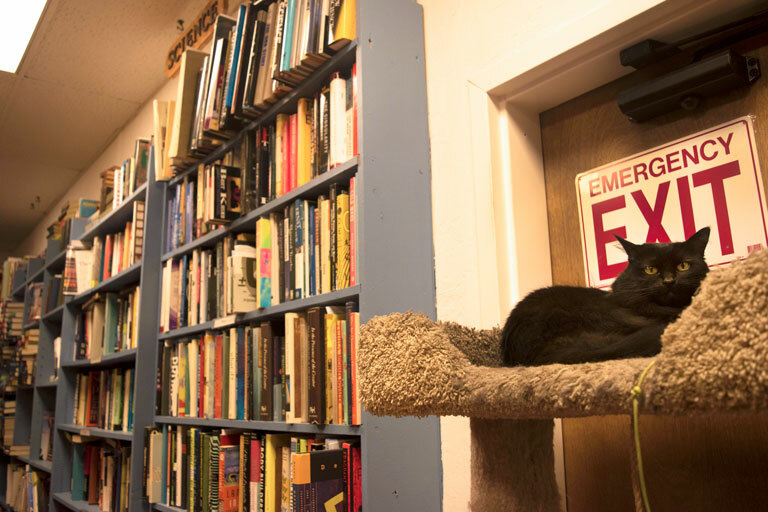 Recycle employee Eric says that owners used to dread rats chewing the pages of their books so would bring in cats "as a practical way to keep the rats away, a tradition that never really left." Rats or no rats, we think the combination of books and cats is (don't hate us)... purrfect. For more information on PBS's Great American Read, click here.